Bank of America said it made its highest annual profit in more than a decade, as the Charlotte-based bank received a boost from recent federal tax cuts. On Wednesday, the bank reported making $28.1 billion last year, the most since 2006, when it reported $21.1 billion. In a statement, CEO Brian Moynihan touted his strategy of focusing on “responsible growth” at the bank. “Our teammates worked for our customers and delivered solid loan and deposit growth, and other activity, while managing risk well,” he said. Bank of America grew revenue from a year ago. But like other U.S. banks, its results last year were also buoyed by the 2017 tax cuts, which slashed the corporate tax rate. Bank of America said its profit last year rose by more than 30 percent excluding the impact of the tax cuts. When the cuts are factored in, profit increased by more than 50 percent. The bank’s improved results also come as the industry is experiencing an improving U.S. economy and rising interest rates that have allowed lenders to charge borrowers more. The Federal Reserve has been increasing interest rates over the past three or so years after slashing them to near zero to help the U.S. economy recover from the financial crisis. Bank of America said the amount of money it made from interest rose more than 6 percent last year. Bank of America also cut its costs again, as Moynihan, who took over in 2010, continues to focus on reducing expenses. Employment fell more than 2 percent from a year ago. The bank now says it employs 204,489 worldwide, including about 15,000 in Charlotte. Bank of America bank has been taking out jobs through automation and other steps, though Moynihan has noted that the bank continues to hire in other positions, such as salespeople. 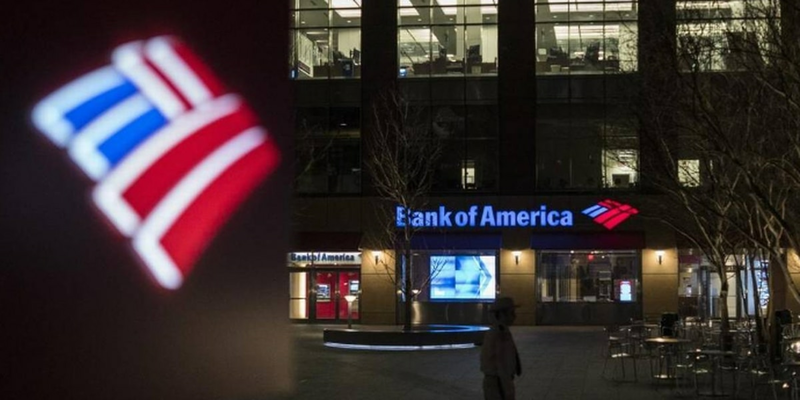 Bank of America becomes the latest large U.S. bank to report fourth quarter financial results. On Monday, Citigroup kicked off bank earnings season, reporting profit of $4.3 billion, or $1.64 per share. That compared with a loss of $18.9 billion a year earlier as it took a charge tied to the 2017 federal tax overhaul. On Wednesday, San Francisco-based Wells Fargo, which has a large presence in Charlotte, said it made $6.1 billion in profit, down 1 percent from a year ago. Revenue fell at Wells, which has been struggling to recover from a 2016 scandal involving unauthorized customer accounts. Also Wednesday, New York’s JPMorgan Chase reported record profit of $7.1 billion, up 67 percent from a year earlier.